On the 10thJune 1902 George married Isabella Sarah Priest at Albert Park, Victoria. On the 14thMarch 1918 George was suffering with severe jaundice and he was hospitalised. Returned to Australia on the 8thApril 1919. Discharged on the 30thJune 1919. Before and after the war George was an orchardist at Beaconsfield Upper. 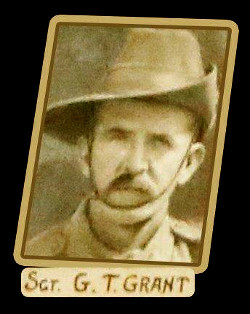 Died in April 1951 at Woodend, Victoria. Cremated on the 11thApril 1951 at Springvale Botanical Cemetery.